This tire is secured from our partners Team Bomber in Japan. It is the foam that was used to win the 2016 IFMAR 1/12 world championships and often offers the best performance. It is a super quick tire in all circumstances; it’s only down side being the increased wear rates over T foam. 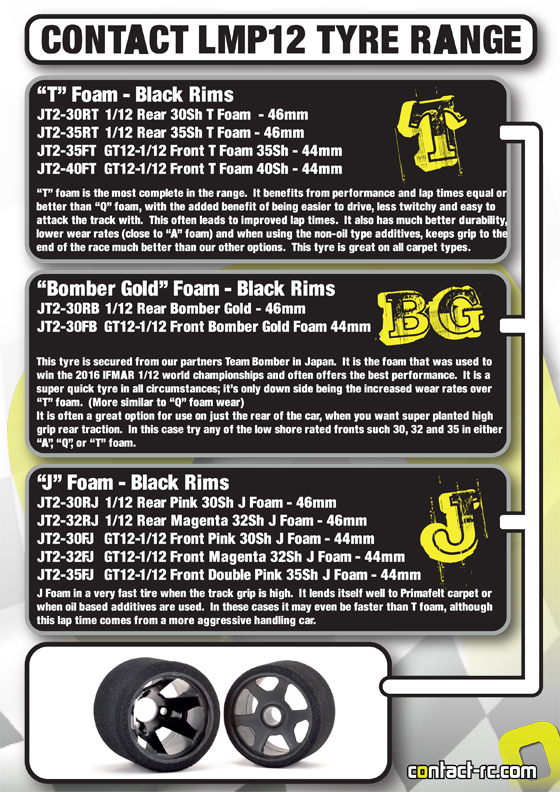 (More similar to Q foam wear) It is often a great option for use on just the rear of the car, when you want super planted high grip rear traction. In this case try any of the low shore rated fronts such 30, 32 and 35 in either A, Q, J or T foam.